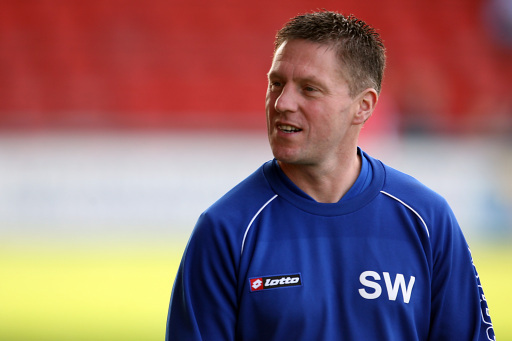 Tranmere Rovers have today appointed Steve Walker as the club physio as a Les Parry begins to put his backroom staff in place for the 2010/11 season. Walker joins Rovers on a full-time contract and replaces Lee Martin, who was a part-time physio for the club last season. The appointment means that Tranmere boss Les Parry, who signed a one-year contract last week, can now concentrate fully on his managerial duties at Prenton Park, with Parry having been Tranmere's physio for sixteen years before being appointed manager in October last year. Walton born Walker brings with him years of experience as a football physiotherapist, having spent one year at Burton Albion last season after a fourteen year stint with Crewe Alexandra. Initially an amateur footballer, Walker had his carear cut short by injury and moved into physiotherapy, and in his time at Crewe he built up a strong relationship with Les Parry and commented that the chance to move from Burton to Tranmere to work with his friend was irresistable, describing Parry as "a legend of the game". Walker begins his duties at the club immediately after the first team squad returned for pre-season training yesterday. Welcome to Steve. He obviously has great respect for Les as a Physio himself. Yes welcome to him. Clearly a very experienced physio who is obviously very keen to work with Les Parry and his coaching staff. Hopefully he's as well liked as Les was when he was physio!